Over time I've realised just how important skincare is. I realised if I wanted my makeup to look good then I needed a good canvas, to begin with. 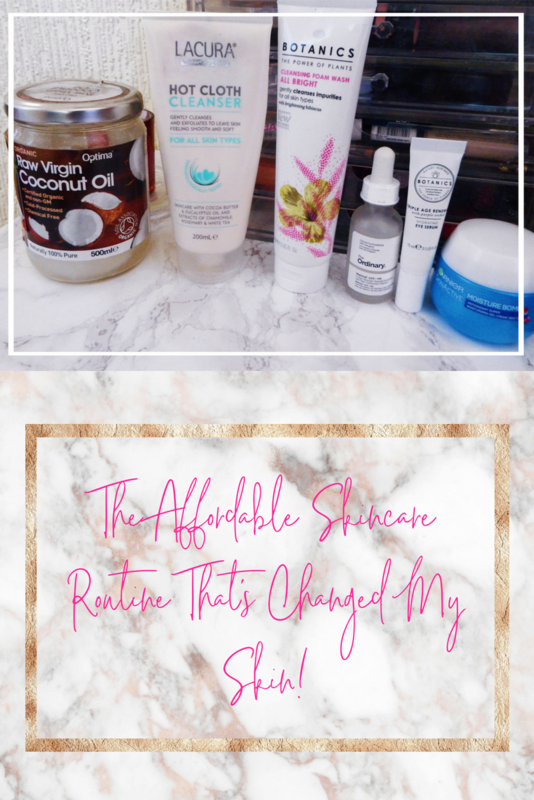 Personally, I have had times when I've gotten really lazy with my skincare routine (I'm sure we've all been there). My routines definitely developed over time and my current one is definitely my favourite. 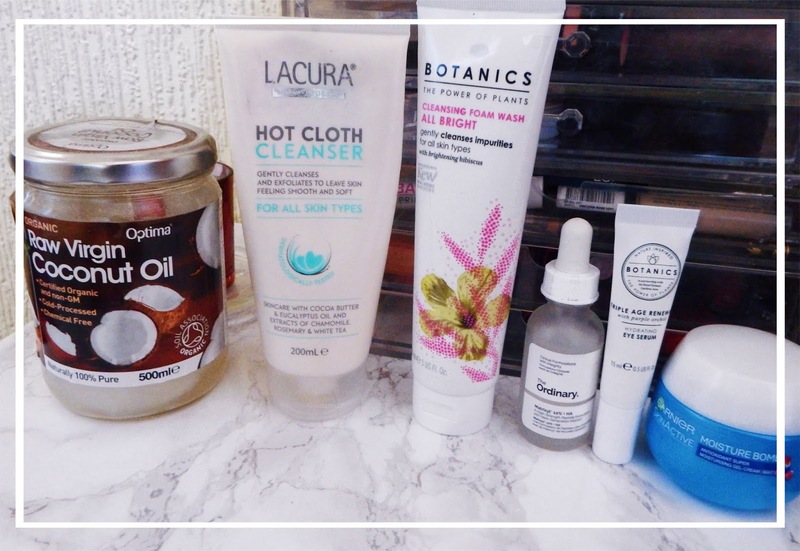 I've gotten really into my skincare and have developed a full routine that consists of natural products and plenty of affordable products that have really made a difference to my skin. It's the best it's ever been and I don't even care about not wearing makeup. Also knowing that I'm taking care of my skin makes me feel good, it's like daily pampering session. I should also mention I have combination skin, sometimes it decides to be oily and at other times it decides to be dry. 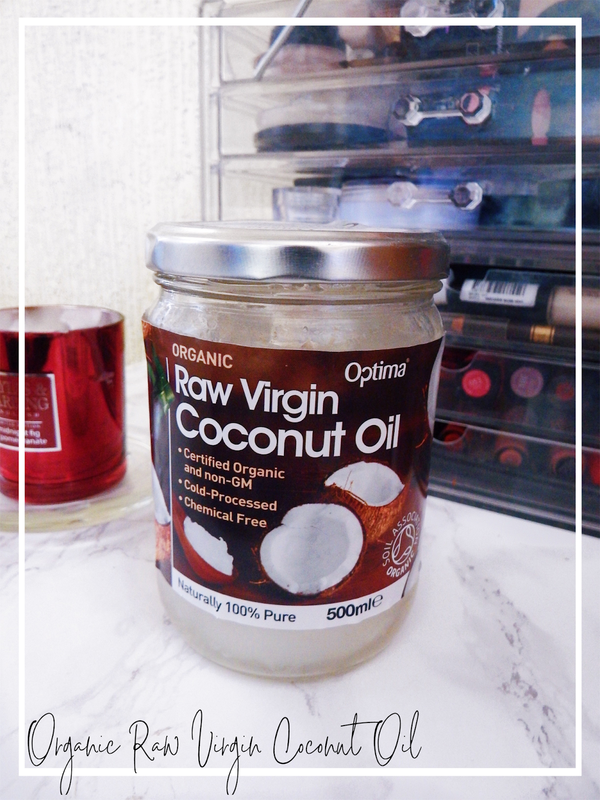 Coconut oil has many amazing beauty uses and removing makeup is just one of them. I always use coconut oil to remove my makeup because it does a good job of breaking it all down and even removes waterproof mascara. I also like that it doesn't dry my skin out and has helped to balance my natural oils. When it comes to cleansing I have two cleansers I reach for. 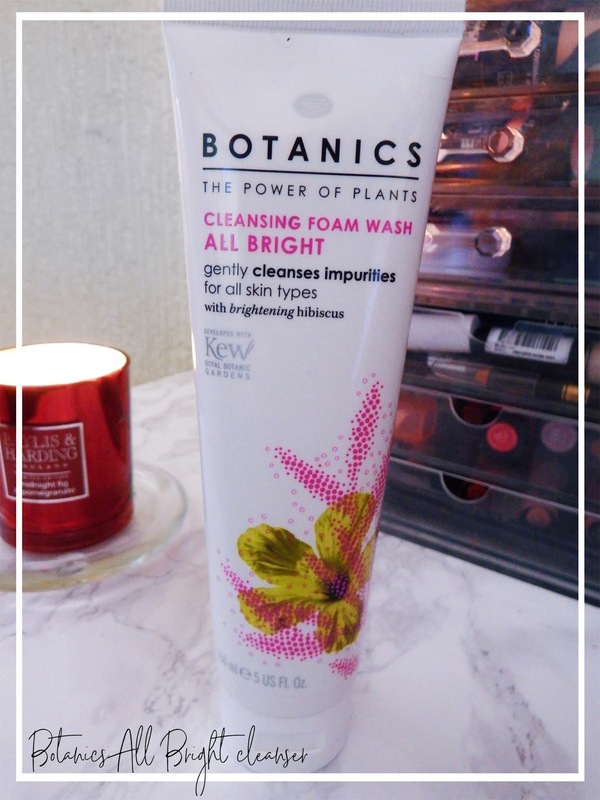 I love using the Botanics All Bright cleanser with my Olay Regenerist cleansing brush because it foams up and leaves my skin feeling really clean, although it can be a little drying. If I want a more gentle cleanse I use my Lacura hot cloth cleanser with a muslin cloth. 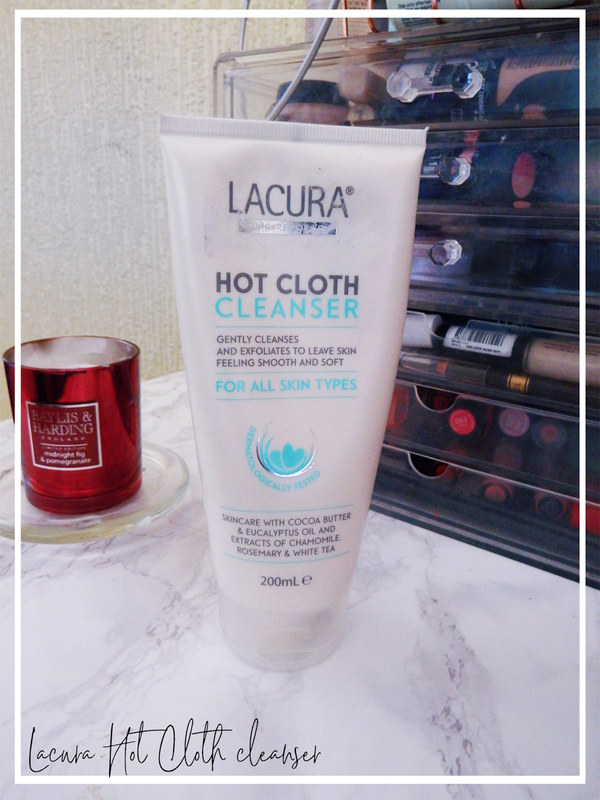 This one reminds me of the Liz Earle cleanse and polish, which I also recommend. So apparently once you hit your 20s it's time to start using anti ageing products (preventions better than a cure and all that). So, I've been using a serum by The Ordinary for the last few months upon recommendation from the internet which said that Matrixyl will make my under eyes look less purple, I'm not sure it has but it definitely makes my skin feel softer and my concealer has been creasing less. 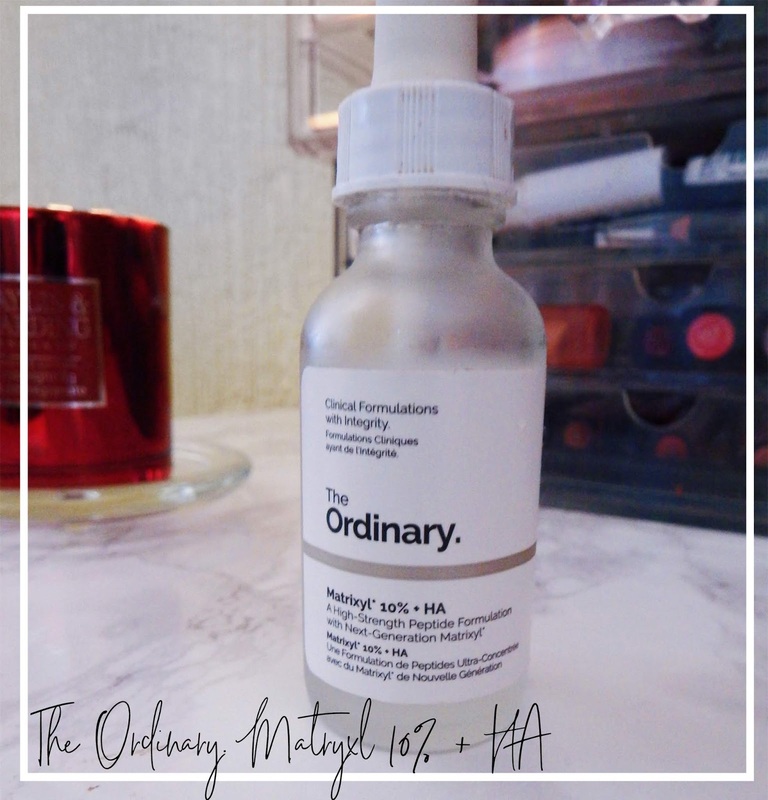 This is a recent addition to my skincare regime. After my serum helped with my under eye creasing I decided to start using an eye cream to hydrate my under eyes even more. 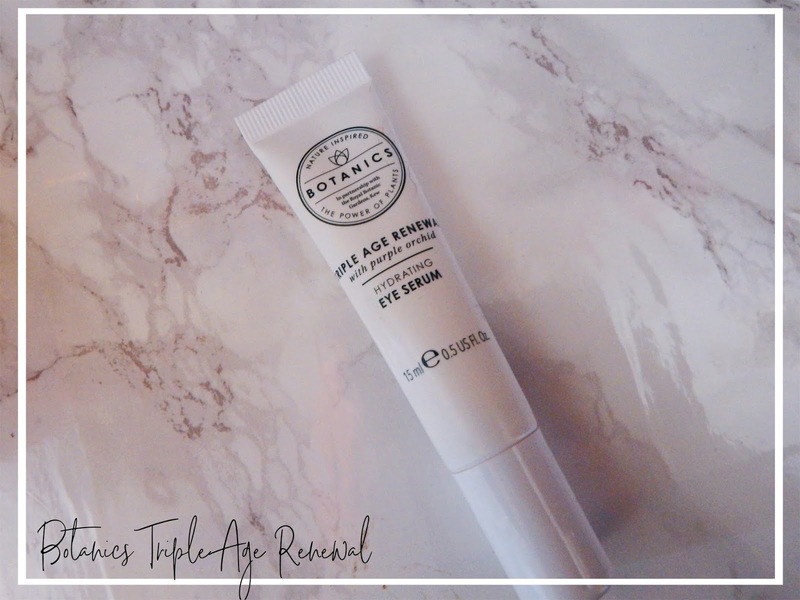 I've been using Botanics Triple Age Rewind (which says it's actually for maturing skin). So far it's made my under eyes feel more hydrated, I can't comment on the line reducing benefits because I haven't been using it for long enough. This is another recent purchase but so far I'm loving it. It's a gel-cream which means it's really light and you can't feel it on your skin. It's also really hydrating and my face feels so soft and smooth afterwards. I recommend. I try to avoid using wipes to remove my makeup and even tried to go without them for a bit. But then I realised I'm always going to have lazy moments now and then so I may as well keep a pack around because it's better to remove your makeup with a wipe than not at all. 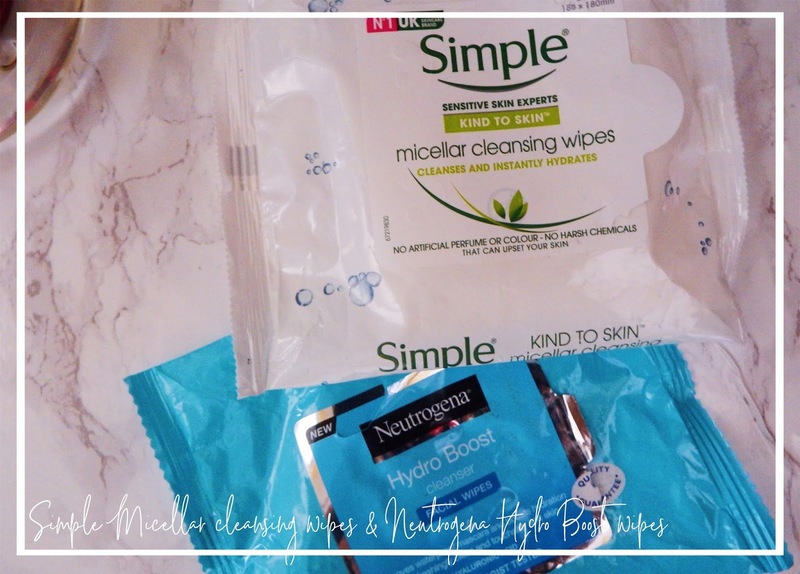 A lot of the time I go for Simple wipes because they do their job, can get my waterproof mascara off and are really cheap but I recently decided to try the Neutrogena Hydro Boost wipes and I'm obsessed. They remove my makeup and leave my skin feeling so soft and hydrated. 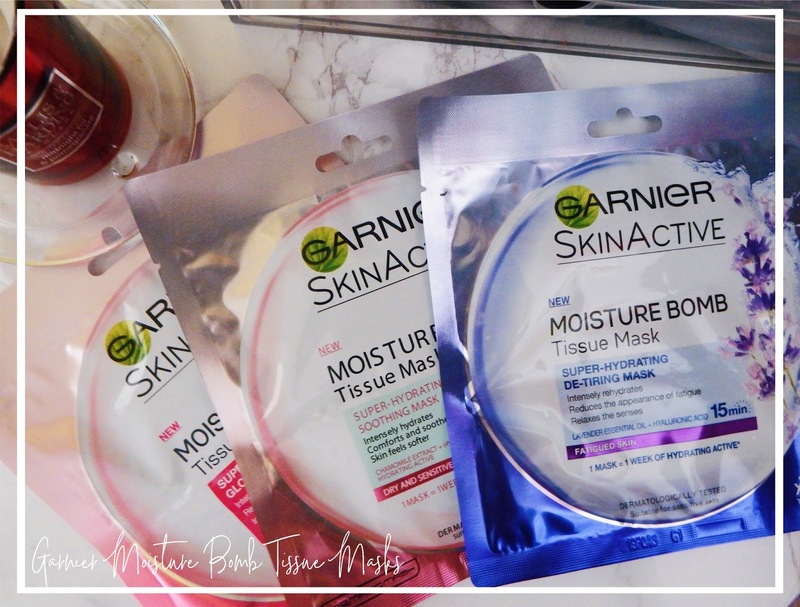 I used these wipes and the Garnier moisturiser together once and my skin had honestly never felt so soft! I highly recommend. I've been getting really onto using sheet masks to treat my skin, they don't require as much effort as a normal face mask and they're not as messing. 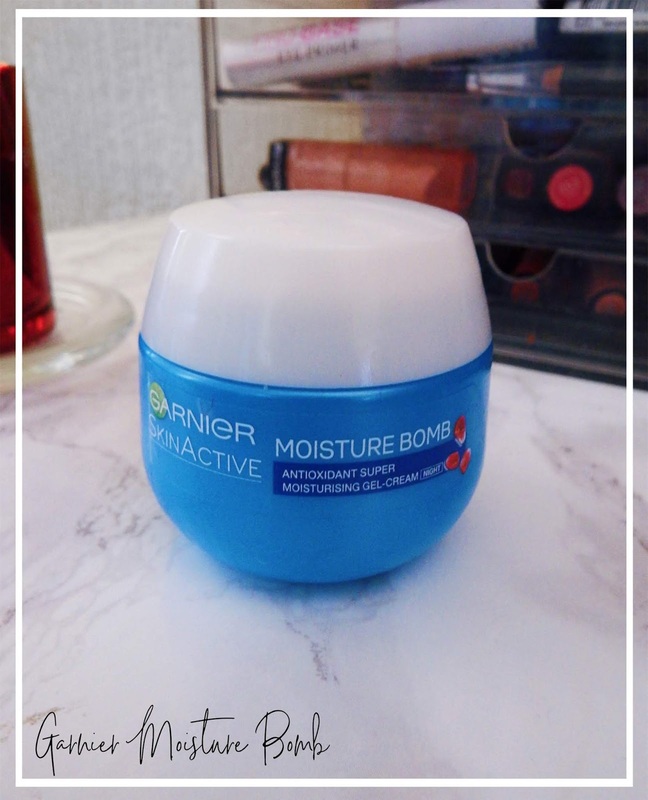 I've been using one every week and I love how amazing they make my skin feel afterwards. These Garnier ones are designed to hydrate your skin and leave it feeling soft and incredible. I also like to rub the residue into my skin for extra moisturisation. And that's my routine! I feel like I've really stepped it up, I'm quite proud of myself actually. Let me know what your favourite skin care products are in the comments. 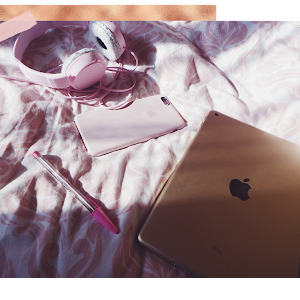 You can follow me on Bloglovin' and on social media to stay up to date (@alicexmk). You can also subscribe to my mailing list below.